1. Wearing it with a bright-color vest ( in fluorescent yellow, orange or red) can be seen as an EN ISO 20417 Class 2 or ANSI/ISEA 107 Class 2 vest. 2. 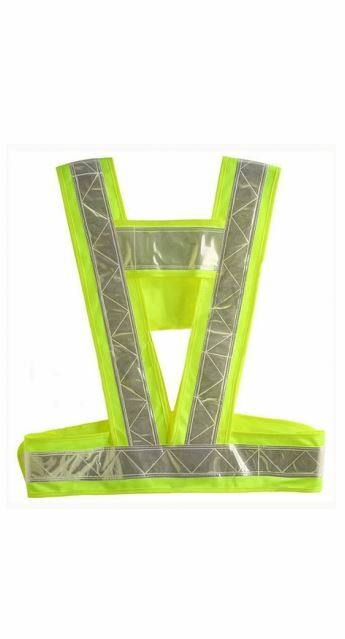 High quality reflective prismatic vest for more visibility in dark or low light conditions. 3. Simple reflective tape for extremely high breathability and light weight for you during four seasons. 4. Velcro closure on shoulders and waist in order to suit your inner clothing better, no matter in which season. Жилет светоотражающий от компании UKOVEX s. r. o., Киеве (Украина). Купить Жилет светоотражающий со склада. Цена, фото, условия доставки. Звоните!